Baseball arrived in the Philippines with Commodore George Dewey in May 1898. After sinking the Spanish fleet in Manila Bay and taking over Cavite Naval Base, the Olympia‘s team, the Diamond Diggers, played the first Army-Navy game on Philippine soil. I could not find out who won. 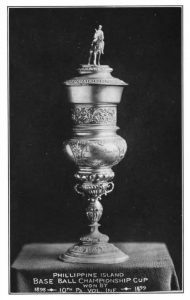 The 1899 Philippine Islands baseball championship cup. Though basketball proved a more popular sport amongst Filipinos in the long term, baseball is a fitting metaphor for the entire American occupation. Let us be honest: American justifications for imperialism were racist right out of the gate. The Yanks claimed to be “benevolently assimilating” the Filipinos, and assimilation included sport. General Franklin Bell (of reconcentrado fame) claimed that “baseball had done more to civilize Filipinos than anything else,” and the Manila Times called it a “regenerating influence, or power for good” (quoted in Gems 112). An overtly racist illustration called “Expansion, Before and After,” from the front page of the Boston Sunday Globe on 5 March 1899. And colonial racism was not limited to Filipinos. The Americans mistreated their own, too, including the 24th and 25th Infantries, both African-American regiments. Jim Crow America came to Manila, including all-white barber shops and all-white baseball leagues. The 25th—who played for “Money, marbles, or chalk, money preferred”—got a small bit of revenge by winning the island championships for four years in a row. 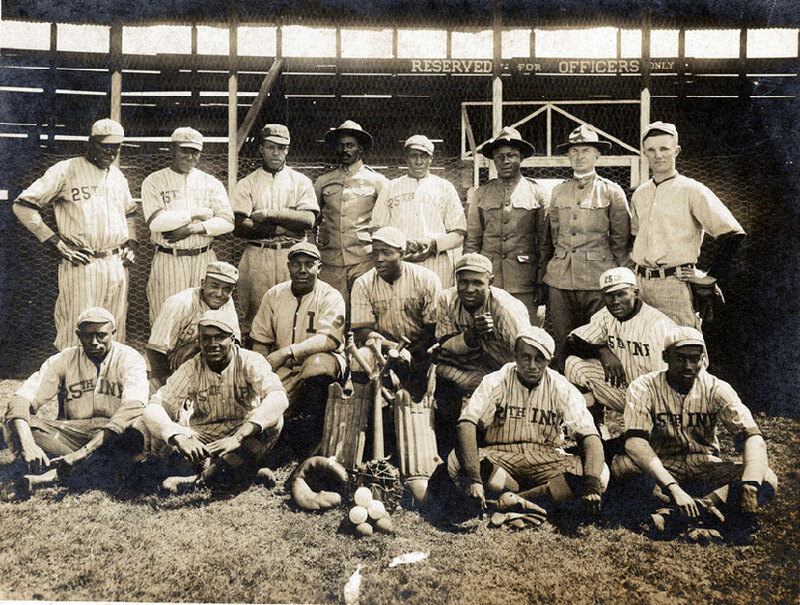 The 25th Infantry baseball team, pictured here in 1916. 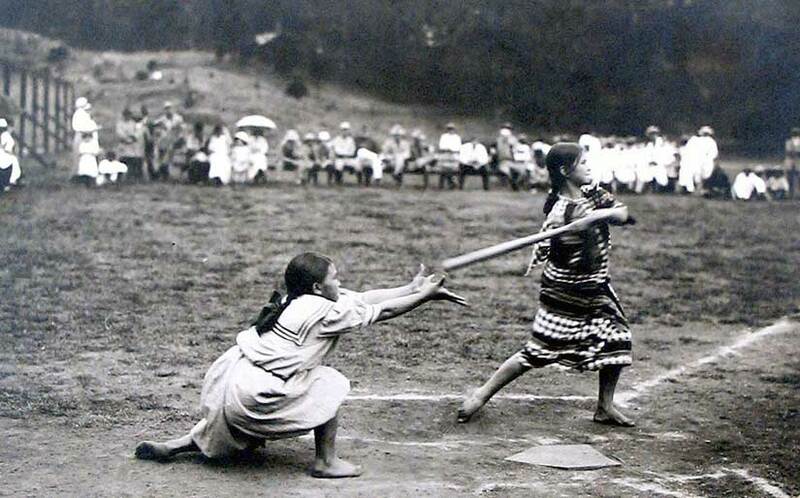 Girls playing baseball in the first decade of the twentieth century. Remember that public schools were started in the first place because “no measure would so quickly promote the pacification of the islands,” according to the colonial government’s 1903 Census. In other words, Americans wanted to rule with books, not Krags. (Not a bad inclination.) Baseball was another “weapon” in the search for peace. The Los Angeles Times claimed that “The American athletes will teach them that the bat is more powerful than the bolo” (quoted in Franks 17). An Igorot baseball team, as photographed by Philippine Commissioner Dean C. Worcester at National Geographic. 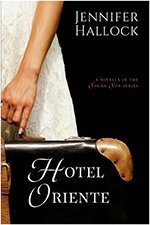 Baseball may have provided a more romantic substitution, as well. Igorot courtship tradition demanded that a prospective groom impress his bride’s family with a “scalp of their bitterest enemy,” but conveniently this new game provided an alternative: home runs. According to sportswriter Ernie Harwell, “Americans, acting as muscle-bound cupids, often played simple grounders and easy outs into home runs so their Filipino friends could escape bachelorhood” (quoted in Elias 45). 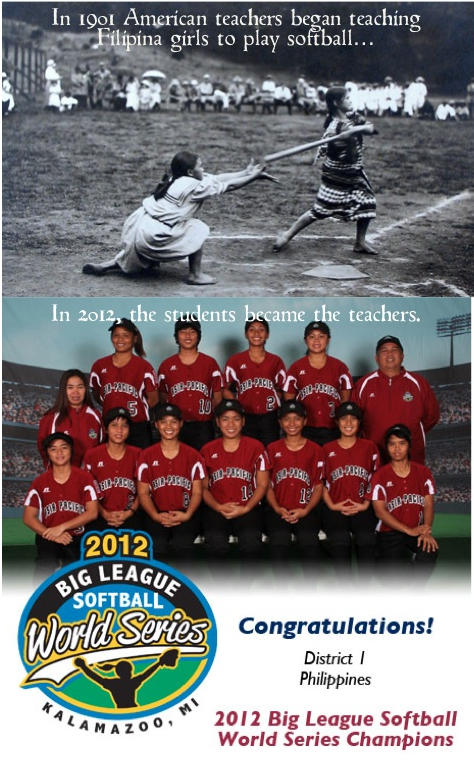 The students have become the teachers: the 2012 Big League Softball World Series Champions, Team Philippines. Allegra did not know the score, nor did she care. 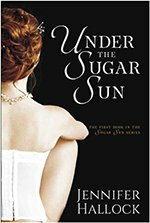 Most of the time she could not be bothered to exert herself, but she did have a sharp eye for talent, especially in one man. Shortstop Ben Potter needed only a few graceful steps to cover half the infield, like a ballet of baseball. I hope you will enjoy it! 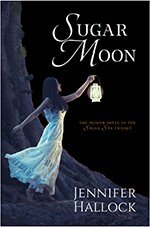 Look for release news in the coming months. Girls took to all sports taught to them by the Thomasites, the American teachers: baseball, basketball, volleyball, and more. Physical activity was a key part of their program. Even nurses got involved!